eCommerce websites that sell branded products need to ensure that customers know the products are original and not an imitation. If your customers are not sure about the originality, they’re never convinced about the quality of the product and any price will seem like too much. This problem is especially grave in the online world because unlike a physical store they don’t interact with a sales person face to face and moreover they cannot touch and feel the product online to determine the authenticity of the product. So stressing on originality and authenticity (especially for higher priced products) becomes quite important for eCommerce stores. One of our customers, High Position, an integrated digital marketing agency, was trying to understand what works best for their client, Express Watches. 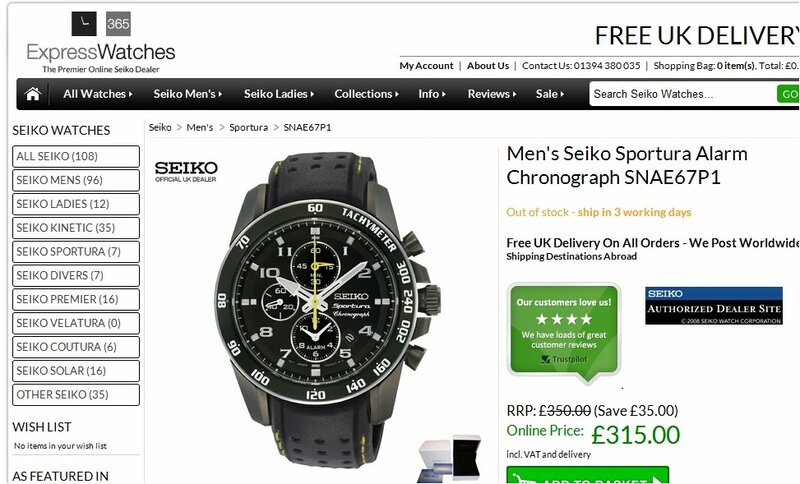 Express Watches is a UK based online retailer of Seiko watches and one major consumer anxiety was whether the watches were actually real or an imitation. HP-Group wanted to run a test that would clearly eliminate this anxiety. What was A/B tested and why? To ensure customers knew that Express Watches stocks original products, HP-Group replaced an image on the right hand side of the product that initially said “Never Beaten on Price” in the control. The result was a 107% jump in conversion rate during the 30 day test, taking conversion rate from 1.81% to 3.76% overall and effectively doubling Express Watch’s business. Note that this badge of authenticity was not simply added as an extra, but in fact it replaced the badge in control that guaranteed low prices. This clearly shows that customers care more about the authenticity of a product than low prices. To see more such case studies, visit our Case Study page. If you have done any such tests on your website, please do let us know via comments. I do marketing at VWO. We spotted similar trend when selling designer eyeglasses, handbags etc, where people are more interested in product authenticity, due to the fact there is so much counterfeit websites selling identically looking products. Jan, how did you solve that problem? Did a similar “Authentic” badge work for you, or was there something else you did? 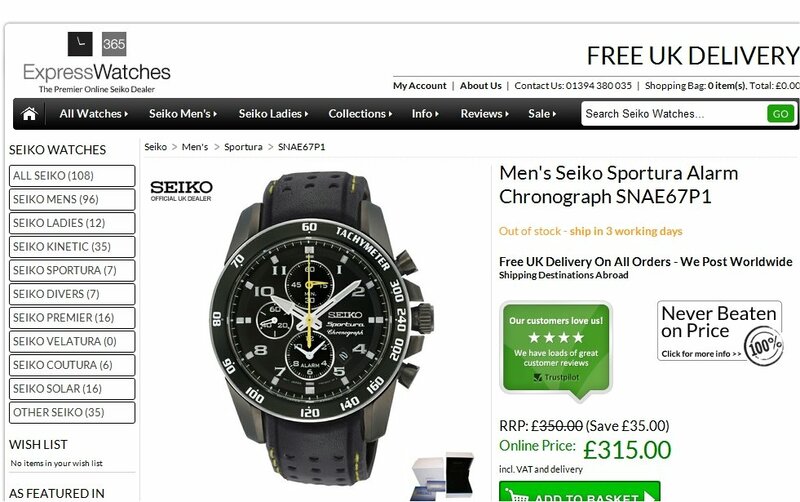 And they’ve also included the “Seiko Authorized Dealer Site” right next to the logo. Given that they’re regularly testing and optimizing, it’s quite likely that they found this to be the best combination. While the results are good, I’m worried that this isn’t a valid statement – the seiko version stands out a lot more with the blue border, so they’re more likely to see it. I’d suggest making another test where the price guarantee is in the same colors (or vice versa) and see if the results are the same. I’d say that the visitors react better to option B than A, but not that it’s because of the message in option B.
looks interesting! is it possible to know how many visits the page received during the test? Hi Guys, thanks for the feedback. Product authenticity is still a big online consumer anxiety – this was the original hypothesis of the test. I have since updated the test by combining the Authorised Seiko blue badge with a Free Next Day Delivery logo as this USP also performed well during the multivariant test. I will share my findings. So the choice of strong black and blue colouring, doesn’t appear as aesthetically pleasing as the rest of the site. Was this on purpose? And why black and blue?